Iceland is a strange place. It’s one of those few places that has a peak season year round. Personally, I think Iceland is amazing in the winter, I mean you have a chance of seeing the northern lights. However, planning a trip to Iceland can be confusing and a bit intimidating, especially in the winter. With extreme temperatures, weather, location restrictions and safety concerns it’s hard to know where to start. For me, the hardest part was dealing with the lack of daylight while traveling in the winter. I felt like I was driving in the dark half the time, but don’t let that stop you! 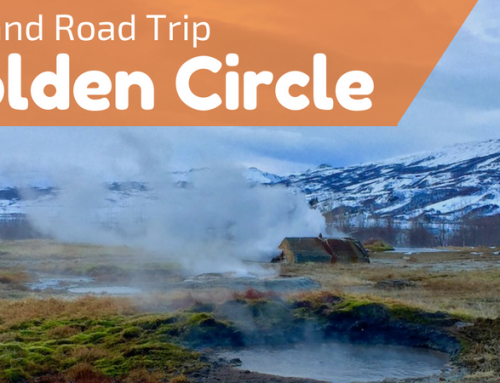 This Iceland winter itinerary was created and used by the Wandering Chocobo and is the perfect way for an independent traveler to see all the major highlights of Iceland in winter while bossing the icy road conditions and lack of daylight. 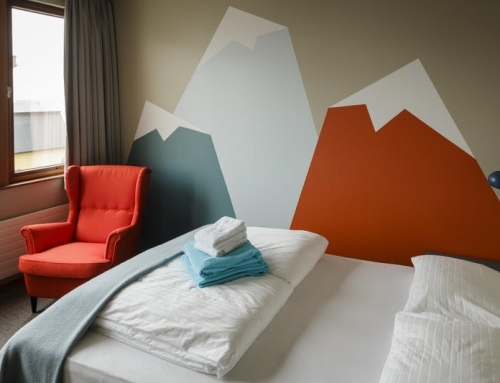 Some of the best highlights in this guide are Fjaðrárgljúfur Canyon, a secret thermal lagoon, the golden circle, DC plane crash, black sand beach, Reykjavik and Skaftafell National Park.This is your one-stop guide to the perfect winter getaway in Iceland. 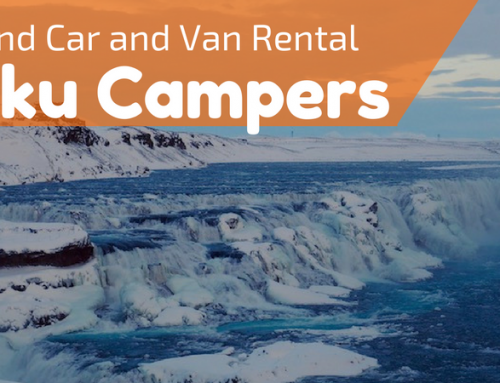 For more information on navigating Iceland in the winter, don’t miss my winter driving in Iceland guide. I grew up in Alaska, so let me help you learn to drive a car in the winter before you get started! 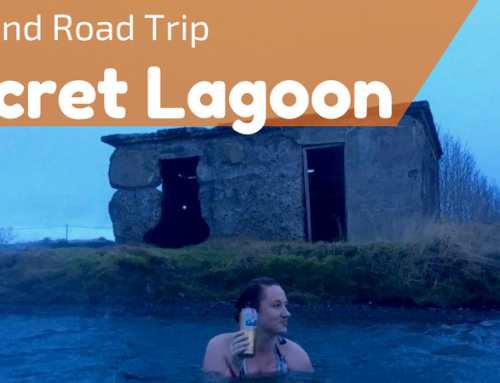 I travelled Iceland in 2014 and really agree with your route! Taking the southern part of the ring road hits all the best stops! The road to the DC10 is closed to cars. You need to walk in if you want to see it. The path is well marked. Thanks Vanessa! Last I heard that was a rumor, I will update my post to reflect the closure! Great itinerary! I actually made the drive all the way across the bottom to the glacier and back in one day! It was a long one… but amazing!!!! I wish I’d had more time to camp around there. That is a LONG drive! I’m always ok doing drives like that, but I am scared to put them in my guides as most other people want to keep it at a reasonable drive. When you’re on a time crunch though you gotta do what you gotta do! 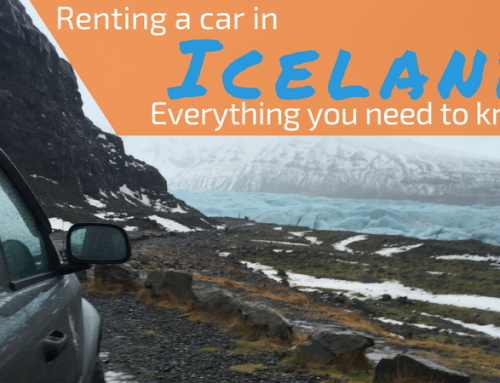 Great guide to Iceland and detailed roadtrip advice. Vik in particular looks amazing! I would love to do a horse riding tour that passed through there. I’m sending this page to a friend who’s making the trip soon 🙂 Ahem, after I swallow my jealousy first. I went to Iceland years ago and found it very pricey. However I love your budget breakdown, this would be really useful if I ever go back. I’m desperate to see the northern lights! Yea, it’s not the cheapest place. We set aside a decent amount for out budget and while we splurged some on nice dinners here and there we tried to save in other areas. I hope you see them soon! This looks like an awesome guide and helpful tips for a trip to Iceland. It’s on my list to get to very soon! I want to do lots of hiking when I go. The Lava Tube Cave looks really amazing to explore! If you want to do lots of hiking and go deep in the lava cave you’ll definitely want to go in the peak of summer, like July. Some of the hiking can still be restricted due to mud and snow in early June. Hope you make it soon and have fun! Glad I could help! The driving guide is probably the most important! Feel free to reach out to many any time if you have any questions or want someone to bounce ideas off. Sounds like a great itinerary. I visited for 14 days in July so missed out on all the winter awesomeness. When I go back, it will definitely be in winter time. I did Iceland in February this year, was absolutely freezing but beautiful! Unfortunately being broke students and with no car a lot on this list wasn’t possible but still had an amazing time! Great itinerary! I would love to visit Iceland one day so I’ve got this bookmarked! Super detailed and helpful, thanks! The map is really useful. This is a bit of an odd comment but I really love the layout of this post with the tabs. It’s very tidy and this pleases me haha. Also very helpful information set out in a clear way. 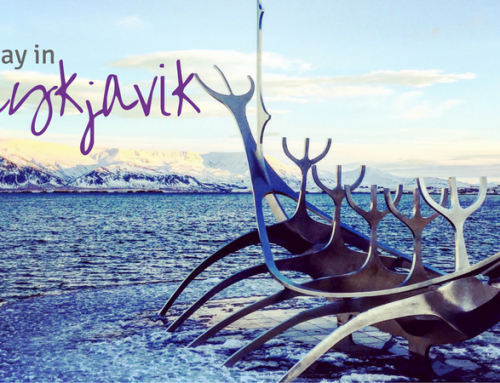 We went to Reykjavik in May this year and had mixed feelings about it – we don’t drive so just did it as a city break. But from the little bit of the rest of Iceland we saw, we loved, and we would have really liked to get out and see more. Hahah it’s not an odd comment! Thank you! I spent a lot of time working on getting the tabs, so I’m glad you found it helpful. I really enjoyed Reykjavik, but I could see how someone could have differing opinions, it’s a very quirky city. I hope you can make it back as I do think the highlight of Iceland is the nature outside the city. There’s lots of tour options you can look at to help plan a trip if you don’t drive! Also – great tips on driving on winter roads. A lot of people underestimate driving in those conditions! Thank you so much! I really appreciate the good words. I worked very hard on this guide after I felt so many were lacking information. I’m glad it helped you out! That guide you have is so nifty, as is the map! It looks like a LOT of driving but based off the photos I’ve seen of Iceland, it’s probably one of the best road trips in the world :). Thanks for providing such good information! I really want to visit Iceland. It’s just that I think it takes much more preparation and planning than any other country. I hope to be able to make it soon! Thank you for the itinerary! Thanks, Justine. I hope it helped you plan your trip. Let me know if you have any questions!